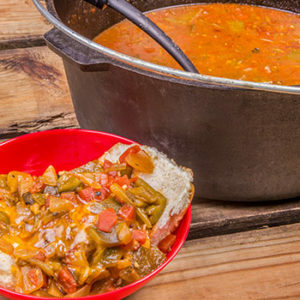 This is one of those recipes for which the creation is claimed by a number of old timey Colorado watering holes. We’re not sure who to give the credit to, but whoever dreamt this one up came up with a winner. 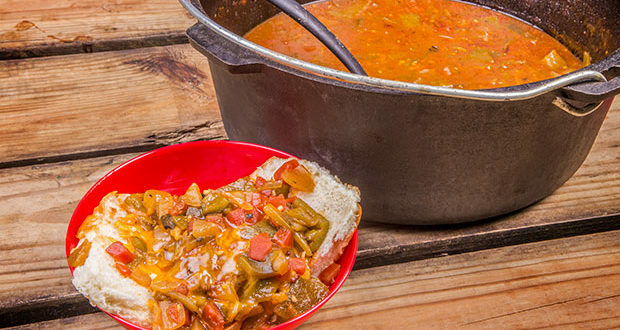 The feature ingredient in this recipe is Colorado Green Chili. You can use this vegetarian recipe, or search out one that includes ham/pork if you like. If you’ve never had a smothered burger before, this is a great one to try. And whipping it up any time you’re grilling burgers is no problem. Split bun and lay it open in a bowl. Place grilled burger in middle of two halves of bun. Place shredded cheese on top of warm burger. It will begin to melt. That’s good. Ladle on the warm (temperature) Colorado Green Chili. Cover the whole thing. Use a spoon to enjoy the whole thing and get every drop!